Tips for Screening HVAC Service Providers – Signs That You Are Dealing With the Best or the Worst? 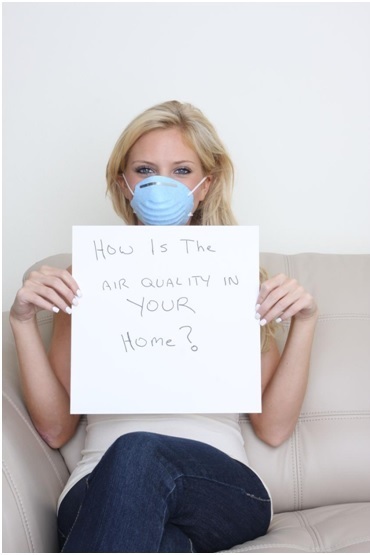 Home / Blog / Tips for Screening HVAC Service Providers – Signs That You Are Dealing With the Best or the Worst? More than a handful other HVAC services companies have opened up recently, and while it may seem as though competition is heating up, in reality, nothing has changed. This is because while capital can be at arm’s length, few can say the same about the kind of work ethics that we have cultivated over long service delivery periods as we provide heating installation service Riverside CA. As it applies in sport and many other areas of life, you can buy gear and paint vans to look the part, but becoming a house name in the HVAC game, certainly takes more than what people can see. You can bank on this fact to screen out potential bad jobs and stick with the service-men that know to give you the results you need. Well for starters you should call in a problem as soon as you start encountering it. Many of our customers only call us when their equipment fail totally, which makes it harder to diagnose and resolve the problem. Luckily, we have kept journal of all our service cases and as such we can tell from a simple stare, what the problem is and effectively apply a fix. While the urge to fix an issue can become too big, sometimes leaving the troubleshooting up to professional heating installation service Riverside CA is just the best course of action. We have seen cases of small problems made bigger from customers attempting to resolve their problems by themselves. What bad service – Men have been caught doing? The list here is lengthy – from leaving tools inside the casing of AC units, to even failing to put back every dismantled part in their place. Some have gone to the extent of calling units a total wreck just because they would have failed to fix, or have made cases worse than what clients called them in for. When everyone else has failed, we often get the final task of putting things back in their rightful place. We never assign a job to a new technician. Every task is acted on by someone that has resolved an identical case in the past. We treat each case as though you were our only client, never putting you on hold, running to your location to the rescue and effectively making up for every other bad service we know to exist out there. What you should be on the lookout for? While there are some new companies who really know their stuff, it is always best to work with HVAC services providers who have been in business long enough to create a reputation for themselves. Neither new gear, nor fancy equipment can ever replace experience long attained. You should expect only the best hands to be assigned to your problem, and no substitute and strings of excuses. You should put us to the test, ask our past clients how we do our job and call us on 951-926-1002 for routine unit check-ups to experience the best service in the HVAC line of business.